Drummer’s hardware can be confusing and challenging at first, but it’s also hard to find people to teach you how to use it. Hi hat clutches are a great example of this - they’re an essential piece of every single drum set, but putting them together, using them, and picking which one to use is a challenge in and of itself. Standard clutches like the Ludwig L2508 Hi Hat Clutch or Yamaha LC-810A Standard Hi Hat Clutch allow you to attach your top hi hat cymbal to your hi hat stand, letting you open and close your hats with your pedal. Basically, they are central to making your stand actually work! Unscrew the bottom half of the clutch, and remove the bottom screw and felt. Attach the top part of the clutch and top felt to the top hi hat cymbal. Turn the cymbal over, and underneath the cymbal, put the felt back onto the clutch. Take the removed bottom screw, and screw it back onto the clutch. 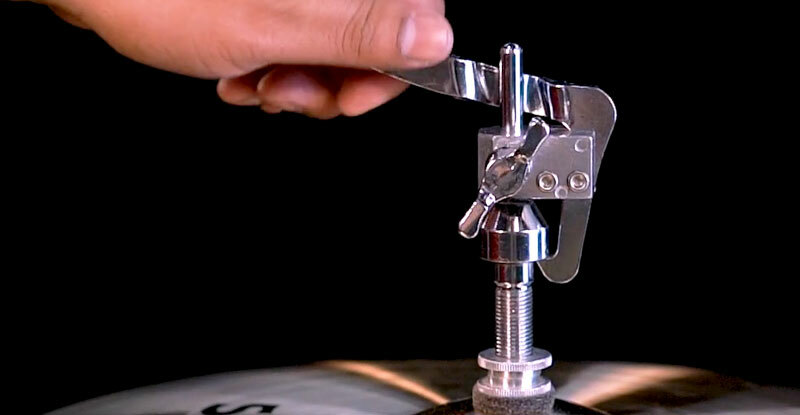 Use the top screws to adjust the tightness of your top cymbal. Finally, put the hi hat clutch and cymbal onto the rod of the hi hat stand, and tighten the wingnut at your desired placement. You can use the pedal of your stand to help get the placement just right. When all is said and done, you should have the two felts sandwiching your cymbal in between them, with two screws above the felts for tightness adjustment, and one screw on the bottom holding everything together. This clutch works by pressing the red and black buttons on the bottom of the clutch. All you have to do is press the red button to release the bottom part, attach the cymbal to the clutch, put the bottom part back on, and press the black button to finish attachment. 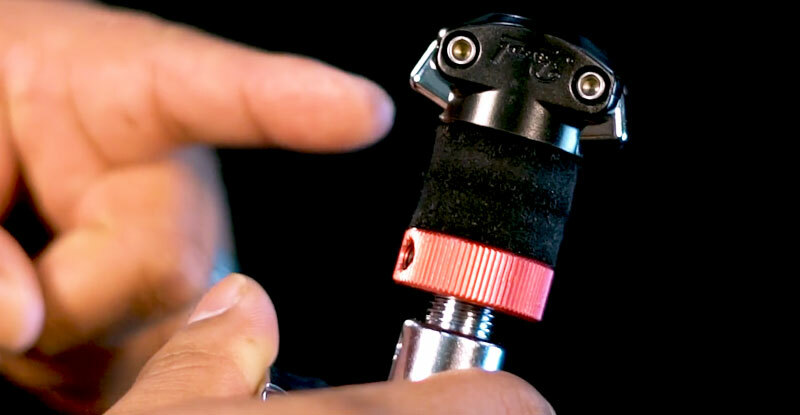 To use the Pearl Quick-Release, it works essentially the same as the Tama clutch, except you press the two buttons on the side of the bottom attachment to release and re-attach it. Just press the buttons, remove the bottom part, attach the cymbal to the top part, and re-attach the bottom part. This clutch is unique compared to the others - it allows you to keep your clutch attached to your hi hat cymbal when you store it in a bag or case between gigs. Attaching it works just like a standard hi hat clutch, but when you remove the clutch from the stand, you can slide the top part of the clutch off of the bottom, giving it a small profile on the cymbal in storage. There are many specialty clutches out there, designed to accomplish a variety of tasks. 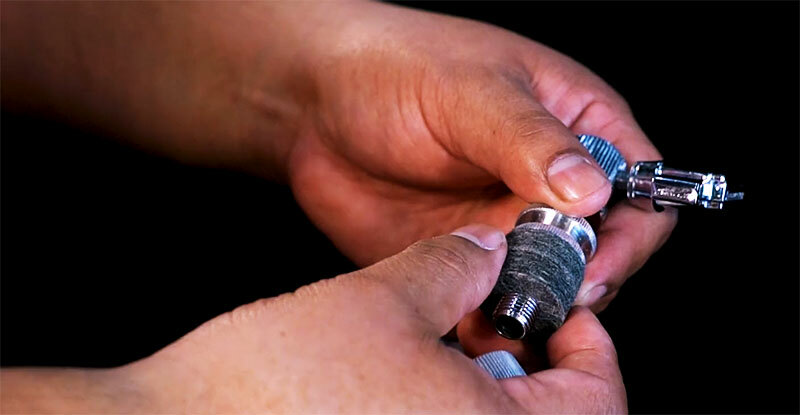 We'll look at just a couple of examples of how these clutches make quality-of-life improvements for drummers and allow them to do things they couldn't otherwise. This clutch is great for double-bass players. It lets you quickly drop your cymbal to the closed position without using a pedal, freeing up your foot for your second bass pedal. This clutch is best used for remote hi hat stands. You can turn the attached lever to open and close this clutch in incremental stages without needing a foot pedal at all. This is a fast, mid-song kind of alternative to a hi hat pedal. As always, if you have any questions, you can give us a call at any time, and if this guide was helpful, feel free to sign up for our newsletter for more guides like this in the future. Let us know your questions and comments down below! Ozzie Zavala is our resident Latin Percussion specialist and has been with Lone Star since 2017. Ozzie gravitates toward drumming styles like tejano, rock, and more. He is also bilingual, being fluent in English and Spanish. Get a heads up whenever we release a new article and keep up-to-date on other exciting percussion news by signing up for our newsletter! Everyone on our sales team is a trained percussionist, and we're here to help with whatever you need! Get updates on new content and keep up-to-date on other percussion news by signing up for our newsletter!